For when you want to make a more subdued statement! 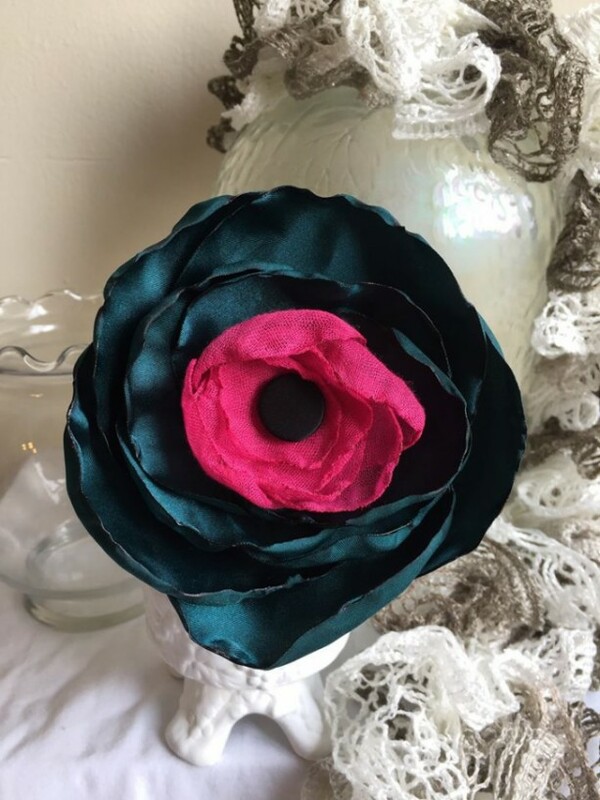 Dark teal satin petals curl around a focal point of bright pink, with a black satin button centerpiece - making this 4.5-inch OOAK statement pin a tastefully subtle addition to any wardrobe! (US only) Your order will ship USPS Priority Mail for speed and security.